I must say, those Potato Heads are probably the most accurate we're ever gonna get, unless they re-release the TSC one without the electronics. Although I do agree that Mrs. Potato Head's eyelashes are ungodly big lol. I'll just try and look for the one with the thinnest eyebrows. I also hope that Mr. Potato Head comes with open eyes, because the ones with the eyelids make him look a bit odd. Hey all. Seen as more merchandise seems to be getting leaked each day, I've decided to make a list of the most accurate toy of every character confirmed for TS4 so far. Not sure if this is what you were referring to, Laker, but the new Toy Story 4 Slinky Dog has the string coming from the collar now instead of between the eyes! And they resculpted the legs and face slightly and changed the pupil positioning. All-in-all, it's the most accurate Slinky so far. The only thing that would make it more accurate would be better-quality real/faux leather ears, with brown on both sides. Jeez, I honestly was planning on skipping getting a new Slink because I've grown use to the bullet hole in his head but his gaze looks more life like than the 1,000 yard stare he had in the TS3 version. I'll end up picking it up to replace my old one. 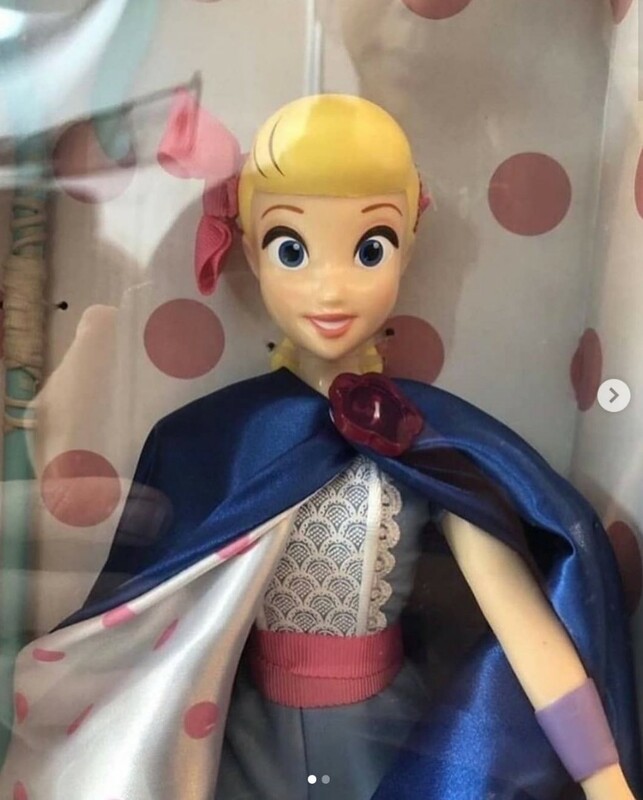 There's also some leaks of the shop Disney Bo we a saw a few months back alongside a two pack Duke Caboom and Forky set from Mattel. I'll have to see what Thinkway's Bo Peep dolls end up looking like before making a decision on which one to pick up. Who’s insane idea was it to package the figures with no shell covering the actual toys? For the accuracy list, the Hamm bank from Disney store is the best one. Yeah, the proportions on the new DS Jessie for her neck and arms seem odd looking. Maybe it will look better in person but tbh, none of the Jessie's available really captured her the best imo. 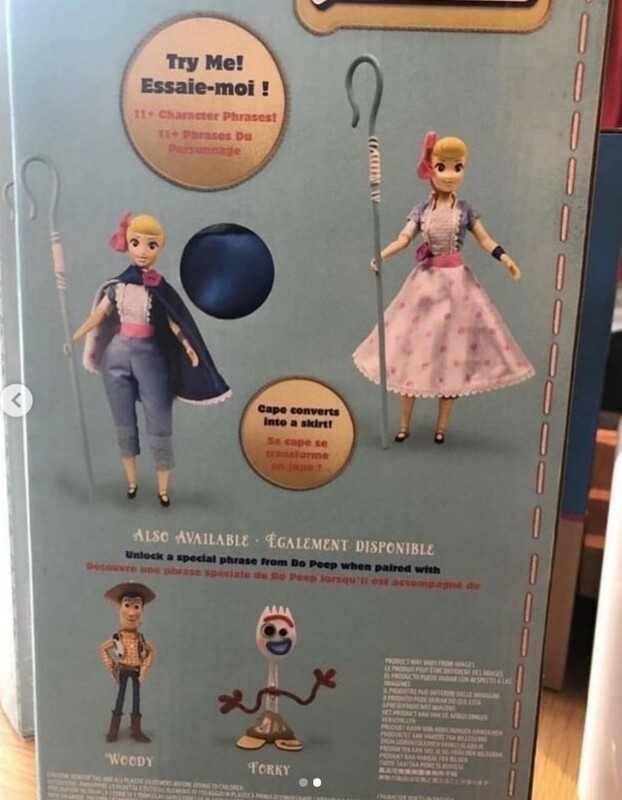 Also, for you UK and European collectors, Disney Store has Bo Peep in stock. I'm waiting to see Thinkway's version but she looks pretty good so far. looks well done! since the cost is not excessive (30euro) I have already ordered it, will post some pictures when it arrives. I haven't looked around through all the threads yet, but I love how the Funko Toy Story 4 Pops are looking. Gotta get that Flying Buzz! and Forky. gboutte24 wrote: I haven't looked around through all the threads yet, but I love how the Funko Toy Story 4 Pops are looking. Gotta get that Flying Buzz! and Forky. Howdy, welcome to the forums! A lot of retailers seem to be putting out Toy Story 4 pops. Anyway, have any US collectors checked their Targets and Walmarts for Toy Story 4 stuff? The Target and Walmarts near my house don't really have much yet. I haven't checked it out but I have seen a Ducky plush and the Duke Caboom Launcher set, but I'll check again this week.